The auditorium will be equipped with an LCD projector (4:3 projection ratio) and a computer, with support for both Acrobat PDF and MS PowerPoint formats (PowerPoint 2016). You are kindly requested to have your slides available in a USB stick, to be copied to the auditorium's computer before the beginning of the session. We assign a 965mm x 1695mm board for each poster. 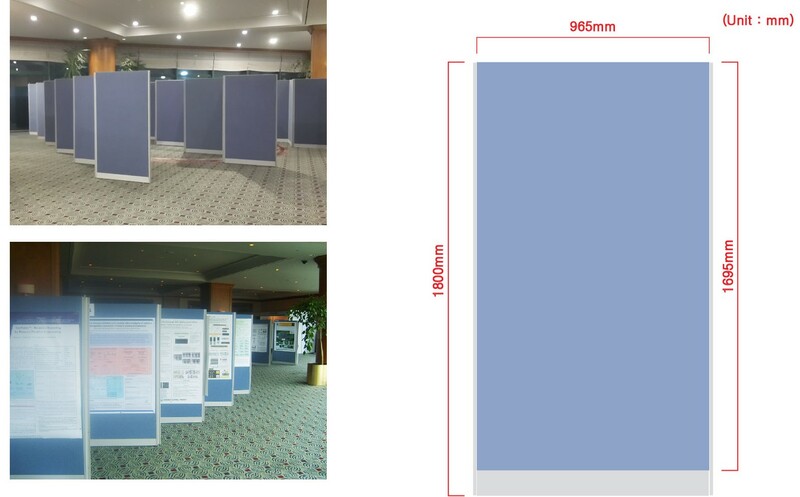 We recommend you to prepare an A0-sized portrait poster.